My heart skipped a beat when I saw his approaching form. I’d recognize him anywhere—Conrad. I scanned my memory and wondered how long it had been since I had seen him, walked with him. Five years. Had it truly been that long? As he drew closer, my chest tightened in a hint of panic. Had I not been doing what I should? Was he back to show me the error of my ways? While he was still a distance away, I heard him call to me. “Addy.” His whisper rustled my way like fall leaves dancing. Then he stood in front of me. My throat constricted in a sudden rush of emotion. “Do not fear, Addy.” He gazed into my eyes. I fell into a comfortable and reminiscent stroll at his side. Our first meeting had taught me about blessings. We walked in silence awhile before Conrad spoke again. “Yes, child.” He stopped and faced me. “First Peter three—be the blessing.” He turned as if he might walk away. I touched his arm to stop him. “But, Conrad, I don’t understand.” I shook my head. He covered my hand with his. “You will.” His silhouette faded into the distance. I wheeled around, dashed back to my house, and up the front steps. I headed straight for our home office where I’d left my Bible. I plopped into the chair and flipped to First Peter chapter three. I scanned verses, not really sure what I was looking for. The word “blessing” caught my attention. I sighed and sat back, mulling over the meaning of the verses in light of what Conrad had said. He had referenced the verse and then added: “Be the blessing.” Part of my job then as a Christian was to seek out opportunities to bless others in Jesus’ name. What would that look like? How could I bless others? Oh, no. I forgot about work. I glanced at the clock; I’d be late for sure. I sprang to my feet and rushed to the shower. I did my best to speed through my morning routine, grabbed a granola bar on the way to the car, and stepped into the dental office at two minutes after eight. I sprinted to the lounge, crammed my purse into my locker, and turned to find Dr. Bennett grinning at me over a cup of coffee. He raised his cup toward me. “Take a breath. You’re all right.” He disappeared down the hallway. All that morning at any breaks between patients, I contemplated my visit from Conrad and the verse from First Peter. I couldn’t help anticipating having visions like I’d experienced the last time Conrad had paid me visits. But, nothing out of the ordinary happened at work. At home, I found Griffey dozing in the recliner. He always visited sick church members on Monday, having updated the list after Sunday services. This week’s list had been a long one. It seemed nothing could wear a person out more than being at a hospital all day. He cracked his eyelids open a bit. “Hey.” I kept my voice low. “What do you want for supper?” I glanced at the clock on the wall. Looked like dinner would be late tonight. I looked down at my uniform. “Let me change,” I said, instantly relieved to not have to prepare anything. Since our daughter Elianna’s marriage, we’d often found it easier to just grab something out. Conrad’s visit had me contemplative and as I tied my shoes, I recalled the changes in our lives over the last five years. Elianna finishing school, marrying, and heading to seminary. Griffey and I moving to another church in the area when he was called to a new pastorate. Getting used to the new dentist who had taken over when Dr. Reeves retired. I still hadn’t quite found my niche in the new church. I missed being in the same church as my friend, Emily, and the women’s Bible study group. I even missed my babies in the nursery. But, there was no doubt God had called Griffey to this church. After the turmoil they’d been through, the people needed a pastor to love them and help them heal, and Griffey fit the bill. I still wondered what I was to do. Maybe Conrad’s visit shouldn’t have surprised me. I hadn’t done much for God, nothing of any significance, since arriving at the new congregation. The phone began to ring, so I grabbed my purse and sprinted down the stairs and answered it. “Hello?” I struggled to control my breathing. “Is this Addy Townsend?” The female voice on the other end came through stiffly professional. I looked up to find Griffey’s questioning gaze on me. Griffey joined me on the couch, sliding close and slipping an arm around my shoulders. My mind scrambled. What could I do? 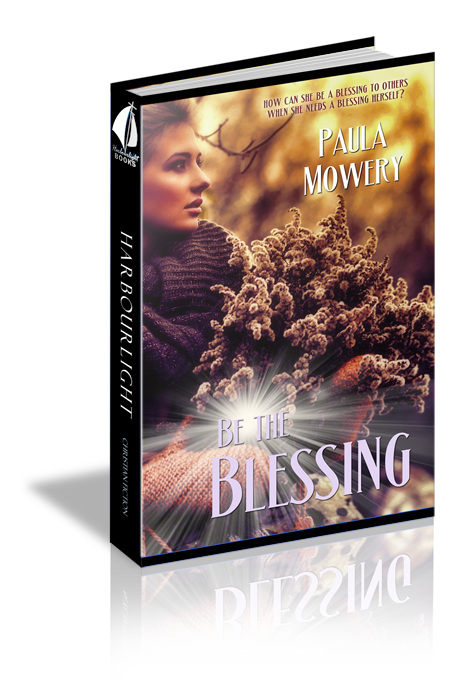 “Be the blessing,” a voice whispered loudly. Suddenly my mind cleared, and I knew what I had to do. “I will be there as soon as I can make arrangements.” I jotted down the hospital information and then ended the call. Griffey was already scanning for plane tickets online, and I called Dr. Bennett to tell him I needed Wednesday and Thursday off. “I’ve found tickets for tomorrow morning. Should I order two?” Griffey sat with his fingers poised above the laptop keyboard. “No, I’ll just go and check things out.” I tried to sound more confident than I felt. I chewed my thumbnail. Maybe this was the reason Conrad had visited again and urged me. This was my opportunity to step up to the plate. I could do this.